It’s your first day to jogging and it’s usual for an early-in-the-morning spectacle to catch a glimpse of all the runners in your neighbouring area. Just when you hit the road, there are many more with the same mindset and jubilant hearts breathing in the fresh air and starting to get their hearts pumping. With headphones on and gospels of “Lose Yourself” screaming in their head, they set off to a long run. On your return, you watch them all covered with sweat but still trying to get their feet up for another round in the park. They’re too adamant to give up and too persistent about their goal. You did only three rounds of the park today but looking at their undying determination, you promise yourself to do ten tomorrow. With this aim, you get into bed at night. Next morning, you don’t wake up! That’s the story of almost everybody out there till now but it’s about to change. 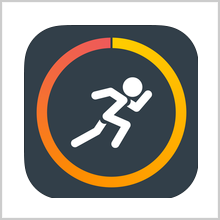 Here’s this iOS app called MotiFIT Run that has been developed by Sylvio LeBlanc. 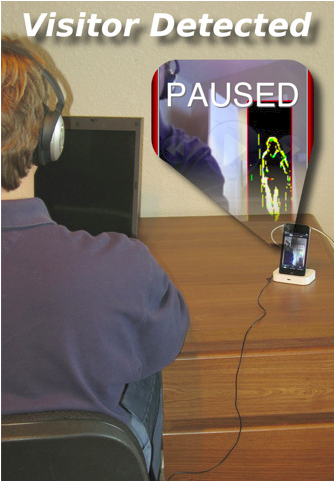 The app is compatible with iPhone, iPod touch and iPad and requires iOS 8.0 or any later version of the OS. 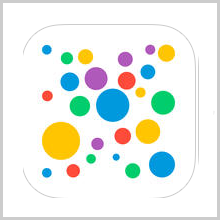 This app has also been optimized for iPhone 5, iPhone 6 and iPhone 6 Plus. There’s a version for Apple Watch as well. What MotiFIT Run does is give you the reason to run the next day. No matter how inspirational is the music you listen to and it doesn’t matter how the bodies of some of the “fatties” of your neighbourhood have changed to “Studs”, until and unless you get to understand the change and benefits of your own. 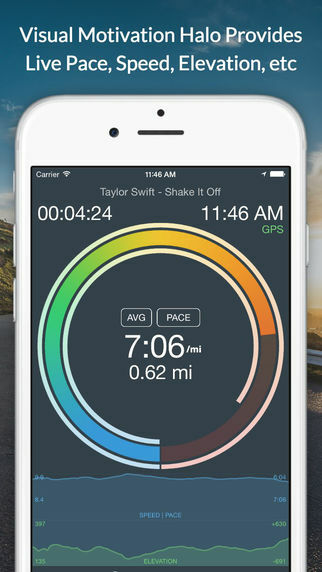 So with MotiFIT Run, you get all the statistics about your body during your run. Numbers don’t excite you? Don’t worry as you won’t be doing any calculations here. But as soon as you’ll find out the rate at which your Heart was pumping when you were about to lose-out and you didn’t give up and ran, it’d surely be interesting! Apart from your Heart Rate, you also get an insight into your speed, distance covered, route taken and most importantly the elevation levels on your route. These are the factors that you neglect otherwise but are very crucial. Two different routes might look the same but a change in elevation levels is a lot to count. MotiFIT also shows you the speed graphs plotted against elevation levels and that allows you to review your weak points and work on them. Another important number shown is Caloric Burn. So if you’re following a particular diet and have strict instructions for the number of calories consumed per day, Calorie Meter will allow you to keep your calculations on fingers and keep your Pinkie Promise alive! 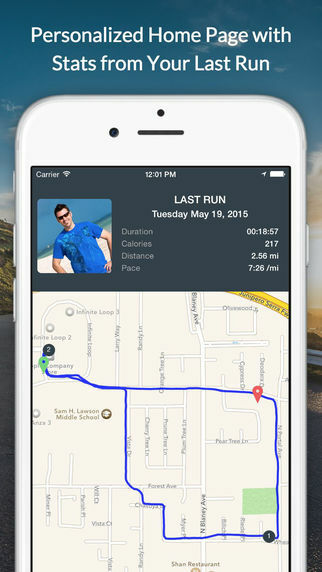 So overall, MotiFIT Run is a dedicated application for dedicated Runners. 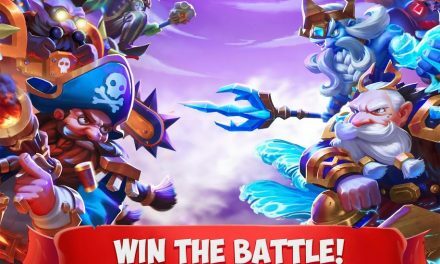 Go grab your share now! 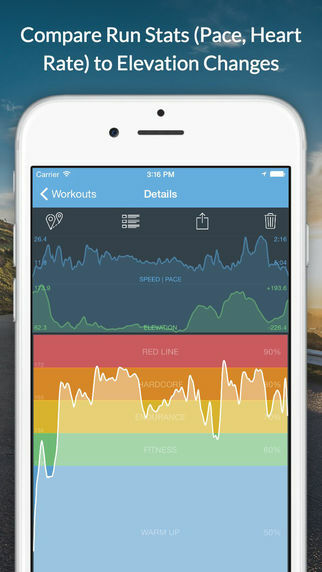 Pros: insight statistics including heart-rate, caloric burn, speed, distance covered, elevation; live routes; free.